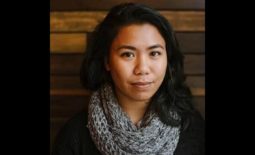 The AAJA Seattle chapter board has appointed Mai Hoang as the new chapter president and Tiffany Wan as the new chapter vice president of events. As president, Mai will be responsible for the overall health of the chapter and represent the chapter in the Seattle community and at AAJA’s national convention. 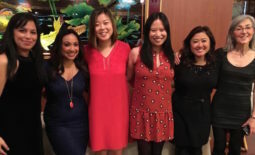 Typical president duties include facilitating board meetings, managing relationships with other organizations and speaking on AAJA Seattle’s behalf in the community. Mai will serve the remainder of the current term, through 2013. As vice president of events, Tiffany will be responsible for the Lunar New Year Banquet & Silent Auction. Other duties may include organizing the summer BBQ, social outings, happy hour mixers or other chapter events. Tiffany will serve a two-year term through 2014. Mai and Tiffany were appointed in a unanimous vote by the three remaining board members: Sanjay Bhatt (national board representative), Caroline Li (vice president of programs) and Samantha Pak (secretary). The appointment comes after a 60-day nomination period and will fill positions that were left vacant due to a former chapter officer leaving Seattle or no candidates running for the position in the last election. Vacancies in the chapter offices must be filled for the remainder of the term by an election if there is six months or more remaining in the term. A call for nomination and notice of an election must be made within 60 days that the resignation is tendered in writing to the local board. The election shall be held at the chapter’s next meeting or by mail as soon as reasonably possible. As we did not receive any nominations for either position, the AAJA Seattle board voted to appoint Mai and Tiffany to their respective positions. In addition, with Mai as our new president, we now have a vacancy for chapter treasurer. This person is responsible for managing the chapter’s finances and complying with National’s rules on bookkeeping. This is the only board position that can be held by someone other than a Full Member, i.e. Associate or Retired Members may also hold this position. Per AAJA bylaws, we will hold a 60-day nomination period beginning today (Jan. 14), ending Thursday, March 14. The new treasurer will serve a two-year term through 2014. If you have any questions, feel free to contact secretary Samantha Pak at sammipak@gmail.com or Mai at maisurvey@gmail.com.